Are you looking for a reliable In HomeCare Service for an Elderly or Senior loved one in Fullerton Brea, Yorba Linda, Anaheim, Placentia or other cities in Orange County? 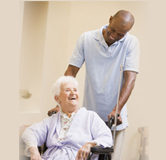 A-1 Home Care Agency can help. We provide non-medical in home care, Elder Care, Senior Services, Parkinson’s Care, Alzheimer’s Care and Dementia Care at a reasonable rate. 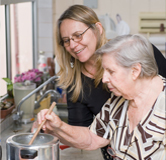 Call us at 949-650-3800 to hire a Elderly Caregiver. Our professional, reliable and expert caregivers, home health aides and nurse aides can help with housecleaning, laundry, meal preparation, personal hygiene, medication supervision, lifting / transferring, pet care, physical therapy, errands and transportation to and from social and doctor appointments. All care providers undergo extensive background and criminal checks, have verifiable references, CPR, First Aid and Malpractice / Liability Insurance for your peace of mind. 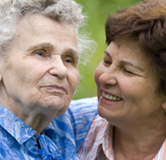 Call us at 949-650-3800 to hire a Elder-Caregiver. 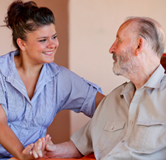 Call 949-650-3800 for more information on how A-1 Home Care Agency can help you.